Chemical Resistant Fans LAB-K Centrifugal fan is constructed from corrosion-resistant materials and designed for duct mounting, provide utmost reliability wherever dust, fumes, contaminated air, toxic or corrosive gases are to be handled, have a low noise level and are easily maintained. An integrated extraction system is an essential component of a Fume Cupboard Management System. The centifurgal blowers are made from fiberglass reinforced unsaturated polyester resin (F.R.P.) in one piece molding which expressed for the purpose of corrosive fume extraction. 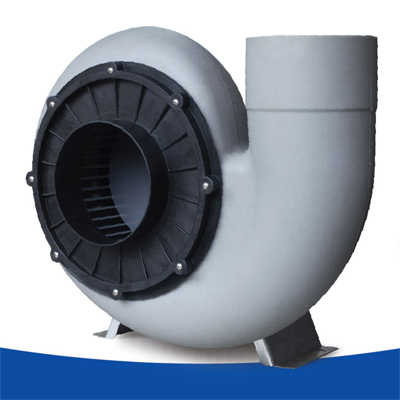 The blower is aerodynamic shape without any adapter to joined pipe line. Housing and blade are made of fiberglass reinforced unsaturated polyester resin (F.R.P.) and corrosion resistant from concentrated acid, base and solvent.